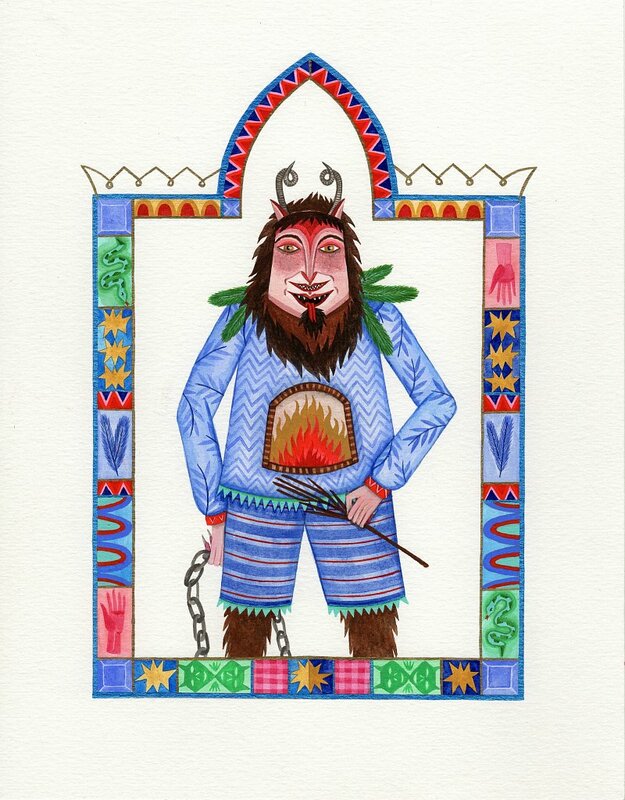 I created this piece for a Krampus themed group show at Pony Club Gallery in Portland Oregon. Yesterday, after it also arriving late, I found out that the piece had been bent numerous times while in transit. I thought I would share the finished piece on here atleast, since it was a fun one to make! "What Have You Been?" 9x12 // acrylagouache on watercolor paper.